Dual 310 mm (12.2 in.) floating-brake rotors are mated with radial-mount Brembo monobloc front brake calipers. The calipers are lighter and more rigid than conventional bolt-together calipers, deliver better feedback, and are fitted with larger pistons that increase initial bite for greater controllability. The hollow-type mounting bolts further reduce weight. 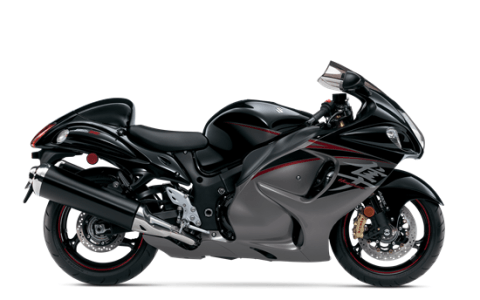 Radical aerodynamic styling and smooth bodywork provides the Hayabusa its distinctive look, protects the rider from the wind, and improves fuel effciency. 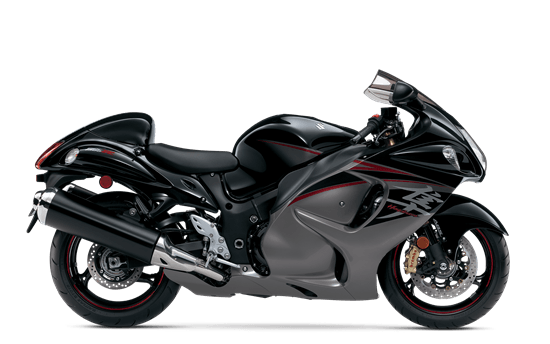 Suzuki’s advanced fuel-injection system with tapered, 44mm double-barrel Suzuki Dual Throttle Valve (SDTV) induction improves combustion e?ciency and smooth’s throttle response.